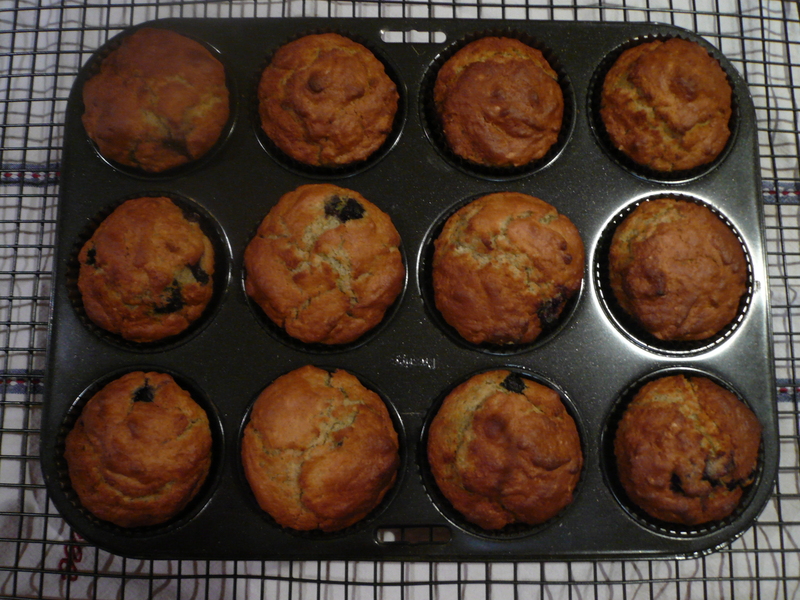 I have been using this Blueberry Muffin recipe by Nigella Lawson for years as my basic muffin recipe, morphing the flavours to suit what is desired – raspberry and white chocolate, chocolate chip and berry flavoured. Recently I’ve needed to modify it to be made on Stevia rather than sugar and it still works quite well. Below you’ll find the original recipe and the version of it I use when making them sugar free. Please don’t go to the shop to buy buttermilk, I’ve only ever used the yoghurt and milk replacement and it work fine. These are fast to make and will cost you no more than $3-4 depending on your choice of filling. Combine all the dry ingredients in a bowl and in a measuring jug beat together the buttermilk (or yoghurt and milk), egg and melted butter. Using a wooden spoon and a light hand, pour the wet ingredients into the dry and mix gently to combine. Don’t worry about lumps, the important thing is the mixture isn’t over-worked. Fold in the blueberries, again keeping mixing to a minimum. Spoon into the muffin cases and bake for 20 minutes, by which time the muffins should be risen, golden and firm on top. 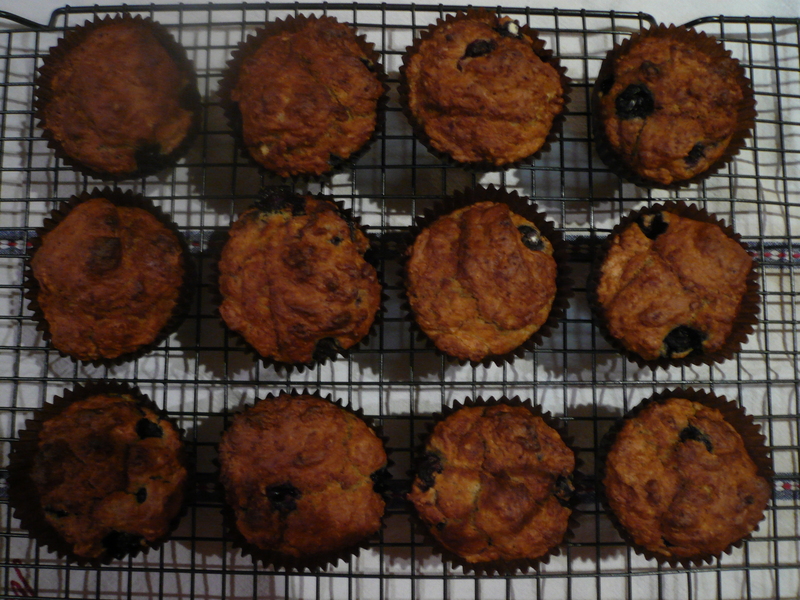 For sugar free blueberry muffins: increase flour to 300g and replace sugar for 40g granulated Stevia. Stevia is actually a fantastic sweets subsitute. It should not cause tooth decay and best of all, it will not cause obesity and diabetes.